watts pep. 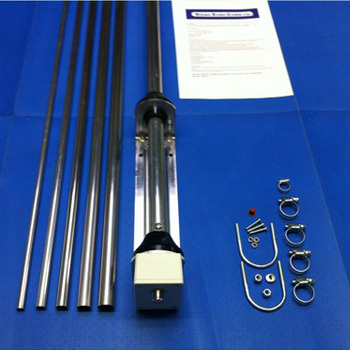 The antenna comes complete with all fixings and fixtures and full installation guide. proper and easy tuning via a manual and most automatic ATU’s. The antenna can be grounded if the user experiences excessive local static noise, but as the UNUN is DC grounded, grounding will not effect the tuning ratio’s.